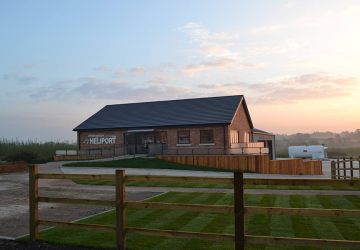 Central Helicopters has the very best facilities at our purpose-built heliport. Whether you are coming to us to enjoy an unforgettable passenger flight experience, are training with us to become a pilot, or are making a scheduled stop-off, we guarantee a relaxing and comfortable stay. VIP Service is for passengers with high standards in comfort, discretion and time management. 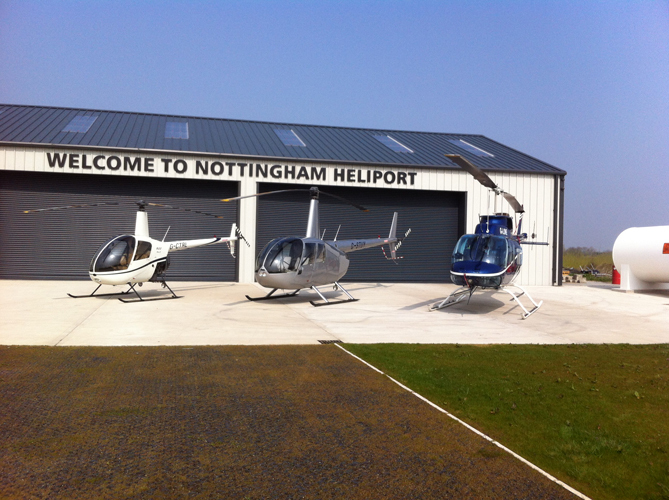 We offer you a variety of services, all of which aim to make your stay at Nottingham Heliport as pleasant, relaxing and efficient as possible. Stop by our on-site café and indulge in the tastes and aromas from our selection of freshly prepared hot and cold food and beverages. 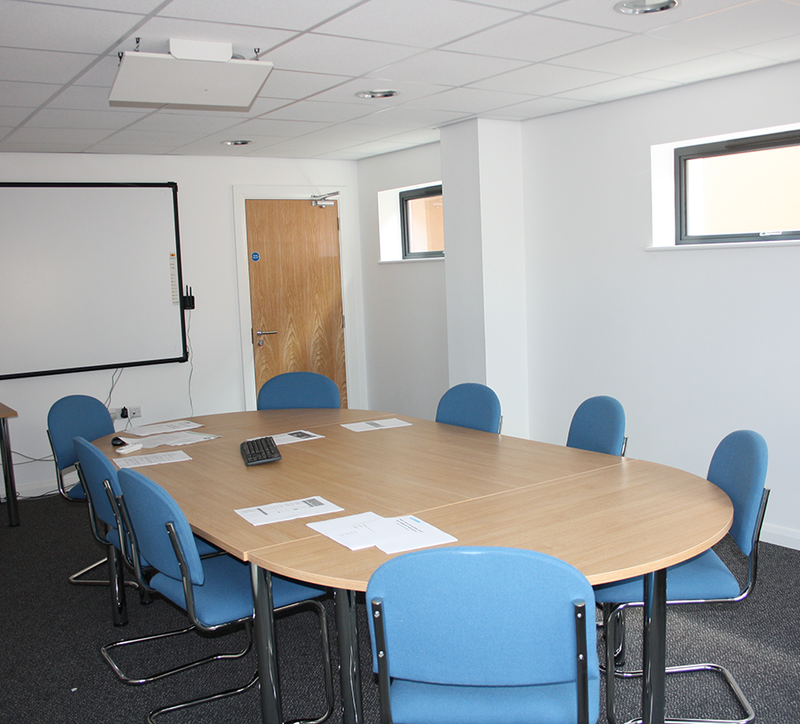 With our dedicated crew facilities, you will enjoy our comfortable rest rooms complete with large screen television, shower and toilet facilities and, of course, FREE WIFI and computers for your use. Planning a long trip and need to stop along the way? We offer passenger handling facilities with refreshments, toilets, TV and internet. Need to refuel your aircraft? 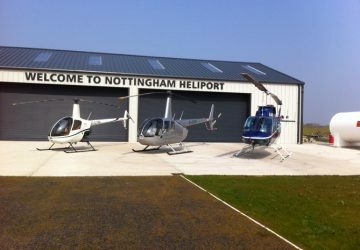 Nottingham Heliport stocks Jet A-1 and AVGAS on-site ensuring we will be one of your favourite places to visit in the East Midlands. 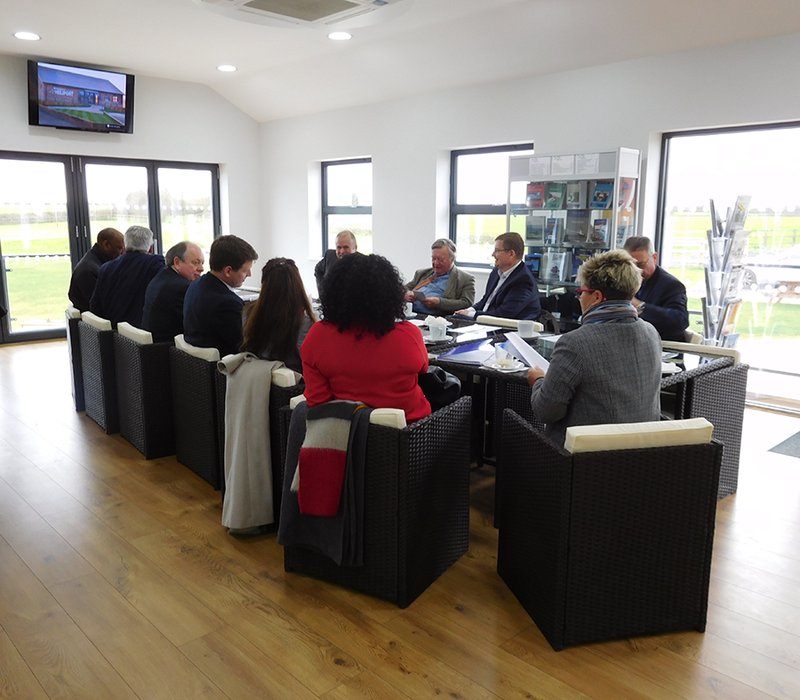 Whether you decide to fly or drive to your next meeting, consider our brand new facility. 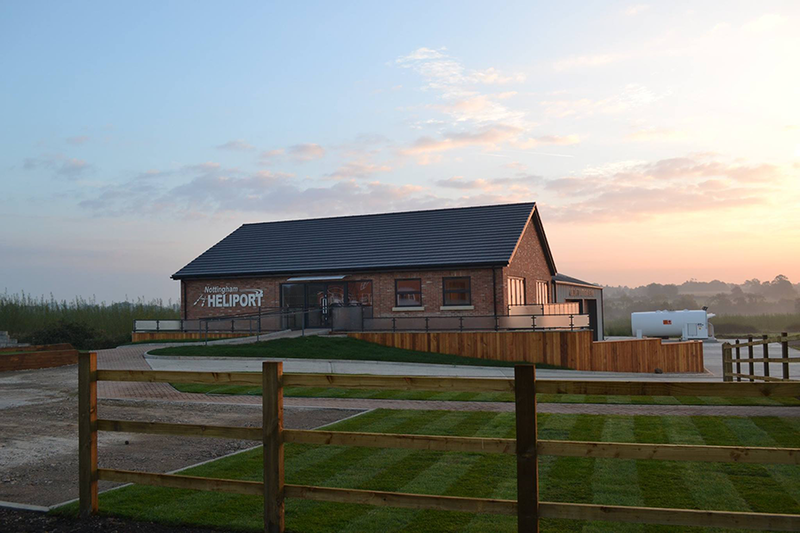 Continuing its reputation for innovation and commitment to customer service, clients of Nottingham Heliport can host meetings, training lessons and events in our exclusive venue located 10 miles south of Nottingham on the A46 at Widmerpool. in the East Midlands. 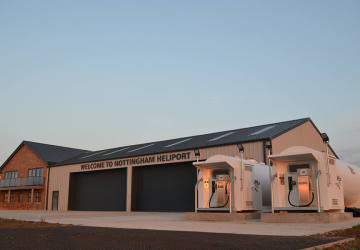 Nottingham Heliport provides full hangarage services and security for your aircraft with 24/7 CCTV and housing for up to 16 helicopters. You can feel at ease that your aircraft is safe in our modern on-site hangar. 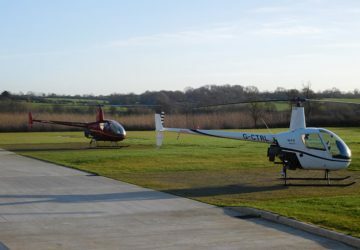 We offer competitive prices for helicopter hangarage together with a number of additional services including a full valet service and also the on-site availability of both AVGAS & JET-A1 fuels. 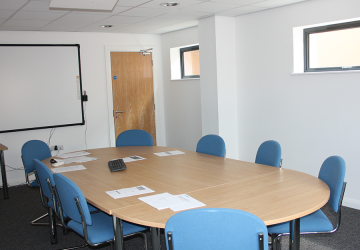 Our hangar provides high quality, efficiency and value within a productive and safe working environment. Only trained and authorised staff will handle your helicopter on arrival and prepare it ready for departure. 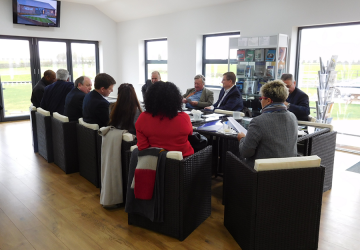 Along with other great facilities at Nottingham Heliport, you can take advantage of our on-site café, TV room, free WIFI, shower and more whilst we take care of all your aircraft requirements. 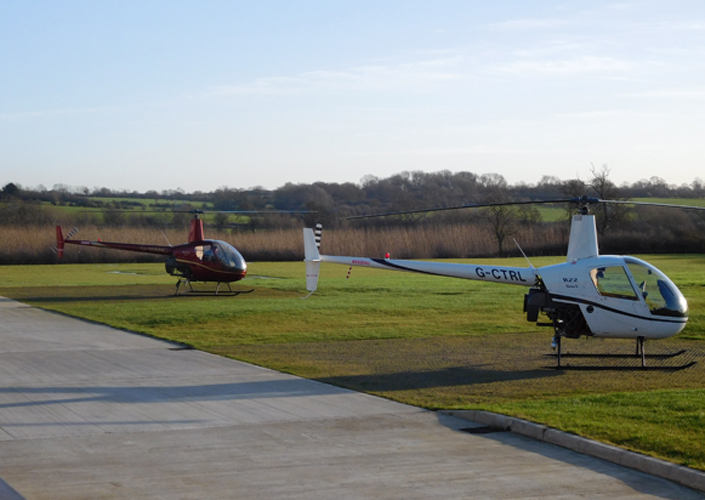 For further information on prices and availability, please contact us on 01664 823846 or email info@centralhelicopters.com or visit our heliport site.